Clotide Brattesani was born in 1890 in Italy, most probably Borgotora. 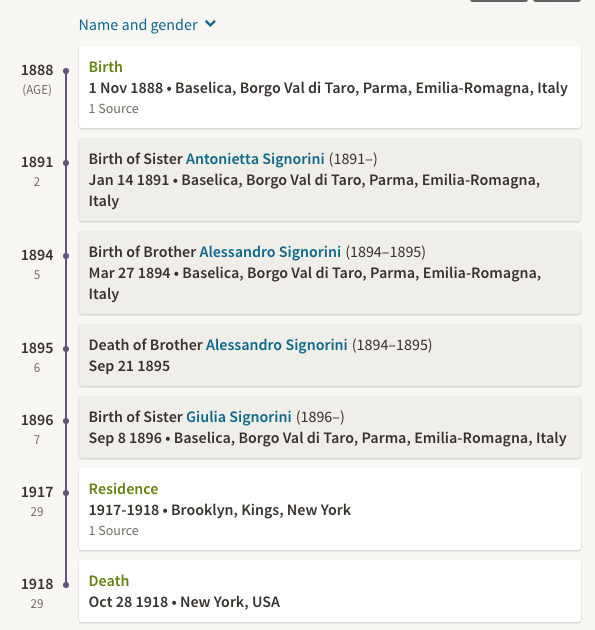 She was the daughter of Giuseppe Brattesani and Veronica Zaccarini. We find Clotide in the USA through various records. 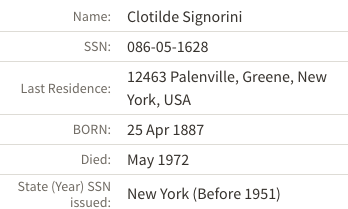 On 5th September 1915 Clotide married Giuseppe Signorini and they settled in Manhatten, New York. 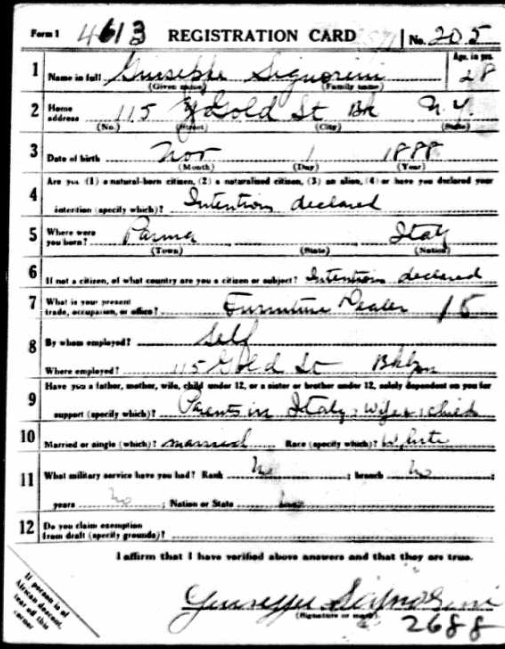 War draft 1917. Telling us a bit about Giuseppe. He also came from the Parma region in Italy. His parents were still in Italy. He had a wife and child. They lived at Gold Street, Brooklyn New York.